This entry was posted on Thursday, November 27th, 2008 at 11:13 pm and is filed under domainers in the wrong. You can follow any responses to this entry through the RSS 2.0 feed. You can leave a response, or trackback from your own site. I was staying in one of those hotels when I was there last July. I share the same feeling that you have. It is really a shame that they have done such an atrocious thing to such a great city and with such ease. I’ve stayed at both the Taj and the Oberoi on my numerous trips to Mumbai. I can’t believe what’s happening in the rooms where I’ve stayed, the restaurants where I’ve wined & dined, the shopping malls where I’ve shopped and (most probably) the staff who’s worked so hard to make my every stay ever so enjoyable. My heart goes out to those people, my heart goes out to the amazing city that is Mumbai!! I strongly condemn those wrongly taking advantage of such a tragedy by unethically using such domain names! I heart goes out to everyone who has suffered because of this act terrorism. To the terrorists: Without disputing that God exists or not, why do this for in the name of One you cannot see and kill who YOU can? I have to be honest that at first I had a mixed reaction when I read this article and saw people profiting off today’s attacks. My first reaction was, hey, it’s business, you do what you got to do to make money. But then when I further thought about it, I realized that at some point, you need to draw the line somewhere. A line that separates good and evil. And this is evil. How could you take such a tragic event, and use it for your own good. It is shameful and I cannot believe these domainers would make money off something so horrible. It’s scary what some people do. Anyways, so that was my overall reaction! Very interesting article though! The reason humans are so brutal to each other now is due to influences from beyond our earth and the 4 dimensional world. Mars was the closest it has been to earth in 75000+ years in 2008. What is Mars the God of in ancient history? WAR!!! Not too mention all the other external universal influences which affect us that we have no control over plus the crap we have all been poisoned with. We are all influenced by what surrounds us and as humans we are very sensitive to such vibrations whether you know it or not. If you think this is a load of garbage think again! Im 100% with you – I totally disagree with these people that have put these sites up to benefit from worried and scared people looking to get in touch or here news on there families. The attacks are shocking – It is amazing that these people have went out and killed people for no reason at all! @Sam: there are a few other domains I came across which had been registered on the day of the attacks. One was pointing to a blog about the attacks and giving valid news. 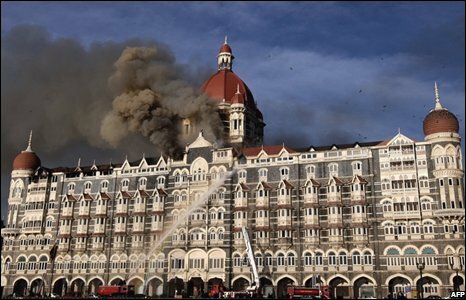 Other mumbai-attack related domains were pointing to a blank page. I have no problem with these, BUT the ones I mentioned, clearly crossed the line, since they were purely serving ads. Sad, really. @vern: I’m glad 2008 is nearly over.